Do I have to pay taxes to buy in FlamencoSound? How do I know what video system do I have to ask for? Is there a minimal quantity of purchase? Will they be able to send an order to a P.O. box? Do you only accept orders by internet? What is the correct way to return the product? 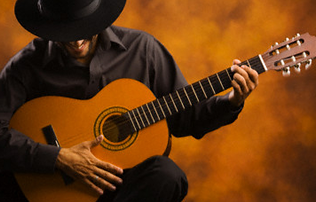 Flamencosound.com is a spanish company and is located in Madrid. Phone: (+34) 91 5427251 or (+34) 91 547 56 13. You can move around in flamencosound through all the sections, categories or service facilities and chose the goods you wish to buy by placing them on the shopping basket. When buying goods which may have different sizes or colours, it is important that you check your selection carefully before adding it on to your basket. In any case, goods selected can always be removed later on. If you are a first time buyer, you must fill in your personal data in the questionaire. The system will ask you to intrduce an e.mail address and a password. Once you have done this you will no longer be required to identify yourself for future purchases. Note that good and clear data supply is most helpful in order to ease deliveries.